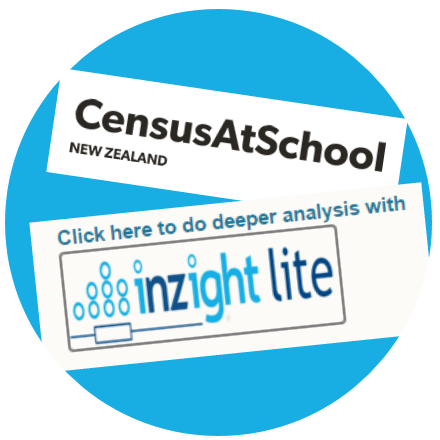 This is a short post about exploring data from Census at school NZ using the online version of iNZight. Have you use the random sampler lately on Census at School? 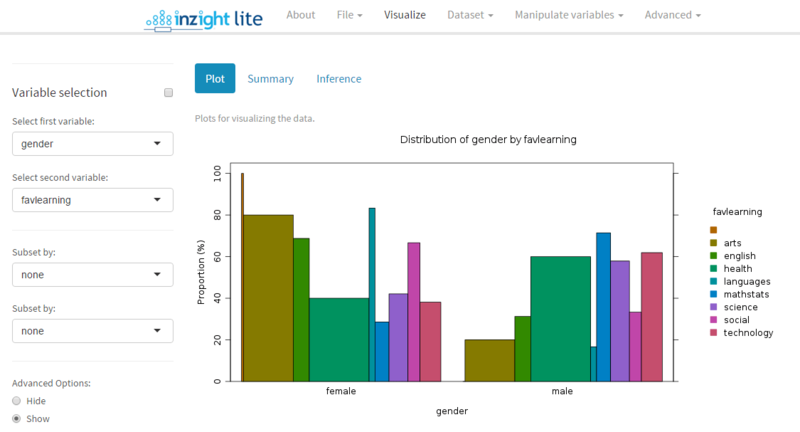 Did you know that it now links your random sample through to iNZight lite? Head to http://new.censusatschool.org.nz/explore and click on button that says “get a random sample”. Follow the instructions to get your random sample (I selected the CensusAtSchool NZ 2015 Database, no Subpopulation, and Total sample size of 200) and you’ll get a link to iNZight lite that will include the data you just got from your random sample. The iNZight lite tool is still under active development so if you come across anything weird or want to suggest improvements, just send feedback through to the iNZight team via the iNZight website. If you are comfortable with playing around with URLs, you can also set up links to iNZight lite which include the csv file already loaded, like demonstrated below (using the Australian Institute of Sport athletes data set). The part to change is in bold, which you can replace with any web-hosted csv file.